Take a look at the specification comparison between the Fuji XT100 camera and the Sony A6300. Both camera record 4K video and features hybrid autofocus system so let’s take a look what the actual differences they have between them..
We will going to talk about the major differences between the two camera and let’s start. One of the biggest reason that you should get the Sony a 6300 camera is, the camera features hybrid auto focusing system with a total of 425 autofocusing points whereas the Fuji XT 100 camera images Limited 91 auto focusing points. Hence the area under focus is more when you pick up the Sony a 6300 camera, and not only that you also get 11 frames per second continuous shooting speed where as again that’s t100 camera remains limited to 6 frames per second only. 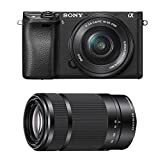 Hence the auto focusing system of the camera as well as the continuous shooting speed of the Sony a 6300 camera is better than the Fuji XT 100 camera. 2. Video mode comparison between the two, and which camera should you pick. 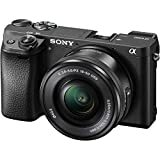 If you talk about the video mode of both the camera, Sony a 6300 camera features better video mode scenes you get 4K video at 30 frames per second with Sony a 6300 camera, the Fuji XT 100 camera remains limited to 15 frames per second at 4K video recording mode, and one unusual thing you should know that Fuji XT 100 camera maximum recording size limit is 4 GB after that the camera split files to different packets and later on you have to merge them all in a video editing software. 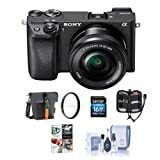 So if you talk about the still shooting part OR video recording part, if we compare Fuji XT 100 with Sony a 6300 camera, then I am going to recommend you to get the Sony a 6300 camera over the Fuji XT 100 camera.